We offer a unique correction service that helps students improve their IELTS – TOEFL – PTE writing skills and produce better essays. Correction of grammar and vocabulary mistakes. Suggestions on how to improve your ideas, vocabulary, writing skills, academic language and structure. An examiner’s report on each of the four marking criteria and ways to improve your score. A reliable IELTS-TOEFL-PTE band score. Essays returned within 24 hours of sending. Don’t risk doing the test before you get expert feedback. The IELTS –TOEFL-PTE exams are very expensive, you don’t want to have to repeat it. Get your essays checked and pass first time. Choose the package you want below. You will be immediately sent a package of real essay questions to your email. Do the questions at home and then email them back to us. We will reply with your corrections and examiner’s report within 24 hours*. Click the ‘Buy Now’ buttons below to pay by credit card or debit card. You can then instantly download your Welcome Pack with all the instructions and questions you need. This package contains correction, feedback, suggestions for improvement and sample reports . This package contains corrections, feedback, suggestions for improvement and sample essays. This package contains five corrections, feedback, suggestions for improvement and sample essays. -You will be instantly sent a PDF document with all the questions and how to easily send your essay to me. -Prices are in US Dollars but you can pay in your own currency by clicking the buttons above. All transactions are 100% safe and secure. -This is currently the only method by which I can accept payments, but if you have any others ideas, please email me. -All our payments are safe and secure. If you are not 100% happy, just send me an email and I will refund your money. -Trust is my number one priority and my site can’t survive without it, so please know that we take it very seriously. -If you have any questions you can always email me at info@ielts-toefl-yds.com. Most of you questions should be answered below, but if there is anything else you need help with please email me- info@ielts-toefl-yds.com. -Can I pay in my own currency? I don’t want to pay in US Dollars. Sure you can pay in your own currency using a credit card or debit card. The amount is in US Dollars but it will be converted to your own currency. -Do you correct both Academic and General Training Essays? Yes. You will be sent a pack with both types of question. -Can I choose my own questions? You will be given a list of questions when you buy. There is a very wide selection of over 30 Task 1 and Task 2 questions. You should choose your questions from this list. This is to ensure the questions are real and to maintain quality. -Can I send you one essay at a time? -Can I send you different essays on different days? -What happens if I am not happy? 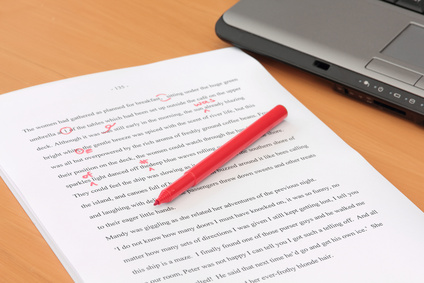 If you don’t think that our service improves your writing we will issue a refund. -Are you an IELTS examiner? -Does one essay include both Task 1 and Task 2? No, one essay means one essay. -Is your service really 24 hours? If you are not 100% satisfied with your purchase, you can email us and get a full refund. You can get a refund within 30 days from the date you purchase.